« Soaring with Eastern Part 2: Dark Clouds and Silver Linings. 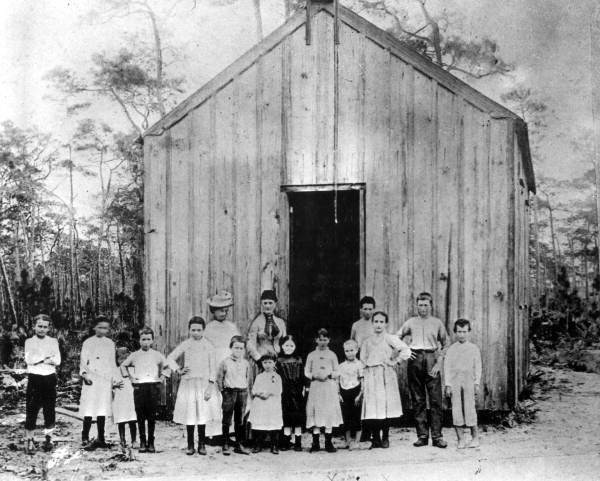 Until 1894, the Coconut Grove Schoolhouse was the meeting place for the Coconut Grove Housekeepers Club, the oldest federated women’s club in Florida. Photo courtesy of the Florida State Archives. On February 19, 1891, the first meeting of the Woman’s Club of Coconut Grove (originally known as the Housekeeper’s Club) was called to order. It took place at the Coconut Grove Schoolhouse, the first public school building in Miami-Dade County. Built style=”in 1889, the schoolhouse was funded by the women’s organization, and was the area’s only public school until 1894 when a larger school was constructed. In 1970, the schoolhouse was refurbished and relocated to its current location on the Plymouth Congregational Church’s property. The Coconut Grove Library. Photo courtesy of the HistoryMiami Archives and Research Center. One of the Woman’s Club’s most notable achievements was the establishment of the first lending library in the State of Florida: the Coconut Grove Library. Louise Carnegie, wife of steel tycoon Andrew Carnegie, donated a substantial amount of reading materials to the woman’s group. 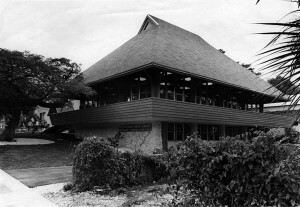 In order to house the collection, the Coconut Grove Reading Room was established. The Woman’s Club library grew rather quickly, and members knew they needed a proper space to hold the collection for public use. Members of the Woman’s Club raised funds and helped established the very first branch of the Miami-Dade Public Library System in 1901. In 1921, the group later moved into a building designed expressly for members by renowned architect Walter de Garmo. The rectangular building featured a curved linear gable roof and wrap-around porch with a series of recessed semicircular arches. On March 26, 1975, the structure was added to the United States National Register of Historic Places. Social advocacy was the fundamental focus of the original Housekeeper’s Club of Coconut Grove. Members participated in the support of humanitarian aid, working in conjunction with the American Red Cross in times of disaster or crisis. Today, the Woman’s Club of Coconut Grove continues to serve the community via outreach programs. The organization also awards annual scholarships to young women demonstrating exceptional community leadership skills. This entry was posted on Tuesday, March 24th, 2015 at 2:40 pm and is filed under Coconut Grove, Photo Galleries, Uncategorized, Videos. You can follow any responses to this entry through the RSS 2.0 feed. Both comments and pings are currently closed.